Welcome to the I am too tired to move edition of Dare to Share. To make sure that the party goes live on time, I am going to add the link now, and then update the rest of the post after I get a little bit of sleep.. UPDATED Saturday 2/6.. Thank you for being understanding about last nights exhaustion.. I really needed some sleep after the crazy week we had. A funny thing happened going to sleep much earlier than normal. I woke up in what I thought was the middle of the night. I saw the hall light on, and thought my daughter fell asleep with the lizard. (long story) I went to go check up on her, and saw that she was lying down, but still awake. I had no idea what time it was and thought she had stayed up most of the night. She looked at me like I was crazy, and said, "mom it is only 1 a.m. and I am trying to go to sleep. She had already put the lizard back in her cage, she just forgot to turn the hall light off. I took my tired self back to bed, and slept almost 9 more hours. Today I had the chance to some quality time with my daughter. We went to the craft stores to come up with some fun new ideas we will be sharing soon, and taking advantage of some of the Super Bowl party food deals. We also had the opportunity to see this. 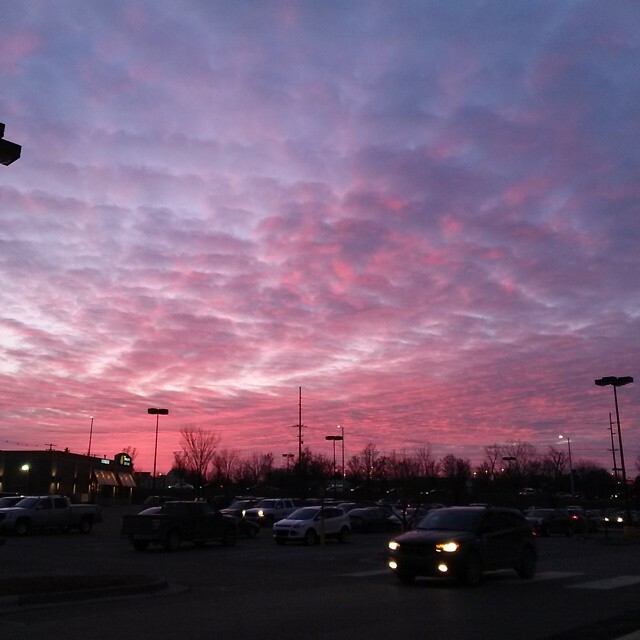 It was definitely a gorgeous site, with the sky a mix of pink and purple We saw it at the perfect time because a few minutes later it was gone. 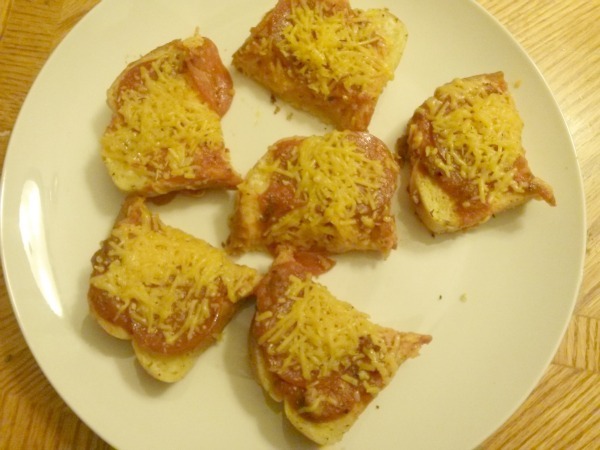 I shared our favorite tip for a quick and easy pizza appetizer or weekday meal..
My co-host Kim from Kandy Kreations has several football post ideas on her blog this week. You will especially like them if you are Broncos fan. Now back to Dare to Share! Thank you for hosting. I sure hope you were able to get some good rest last night!